Last night, I watched a movie titled Merchants of Doubt. In this 2014 film, director and producer Robert Kenner lets us in on a secret that’s hiding in plain sight: there is a small—but highly paid—group of charismatic, silver-tongued “pundits” who present themselves in the media as scientific authorities, even though they have few credentials. To make matters worse, their goal is to spread mass confusion about well-documented public threats, such as cigarette smoke, flame retardants and climate change. After watching the film, I felt I needed a shot of good news about where we have succeeded in coming together to make strides in bettering the planet—rather than how we endlessly deny and debate while animal and plant species die, and the air we breathe and the land we walk on declines in quality and health. So, below, I’ve rounded up a few success stories from 2015 regarding our landscapes, wildlife policies and business practices—and even our contributions as travelers—that should help keep the globe beautiful and make it a safer place for all. 1. 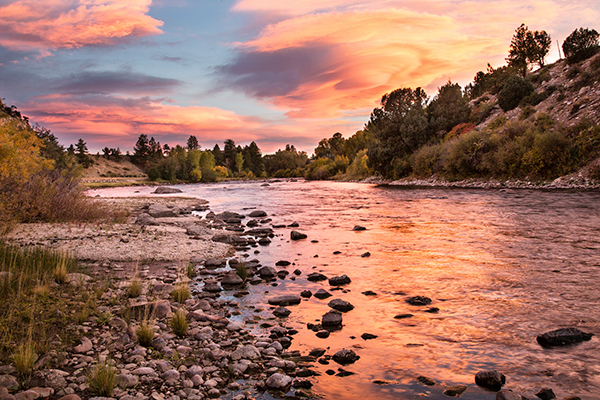 On February 19, 2015, President Obama designated Colorado’s Browns Canyon as a national monument. This presidential proclamation now protects 21,589 acres and 14 river miles from development. Mule deer, pronghorn and trout will benefit, as well as those who appreciate the area’s wild backcountry and mountain vistas. 2. 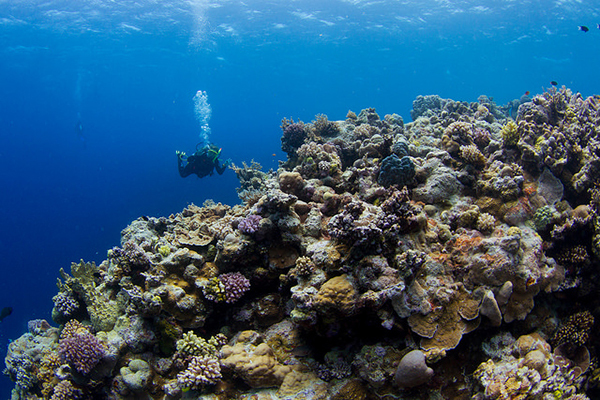 On March 16, 2015, Australia’s Minister for the Environment Greg Hunt announced the details of a plan to ban capital dredge material disposal in the World Heritage waters of the Great Barrier Reef Marine Park. The new law closed a legal loophole that could have allowed 46 million cubic meters of seabed to be dug up and dumped in this fragile ecosystem. More than 500,000 World Wildlife Fund supporters from 177 countries called on world leaders and successfully helped protect the reef. 3. Undeniably, the greater sage-grouse is an icon of the American West. That’s why there was cause for celebration on May 28, 2015, when the U.S. Forest Service and Bureau of Land Management announced a finalized, land-use plan for the birds’ sagebrush habitat, covering 4.4 million acres in 10 states. It’s estimated that this strategy will reduce threats to the greater sage-grouse by 90 percent and help conserve another 350 wildlife species. Energy and mining interests, ranchers, scientists, sporting groups and several environmental organizations participated in the groundbreaking effort, the largest ever in the United States. 4. On July 10, 2015, three new national monuments came into being: the Berryessa Snow Mountain, the Basin and Range, and the Waco Mammoth. Berryessa Snow Mountain National Monument is a 330,780-acre area of the California Coast that extends from nearly sea level on Bureau of Land Management lands around Lake Berryessa up to 7,000 feet through the northern Snow Mountain Wilderness and the eastern boundary of the Yuki Wilderness in the Mendocino National Forest. It conserves old-growth forests and will provide an undisturbed home for bald eagles, black bears, California poppies, coyotes, fishers, Indian paintbrush, lupines, martens, mountain lions, northern spotted owls, ospreys, river otters, salmon, Tule elk, and multiple species of dragonflies and butterflies. 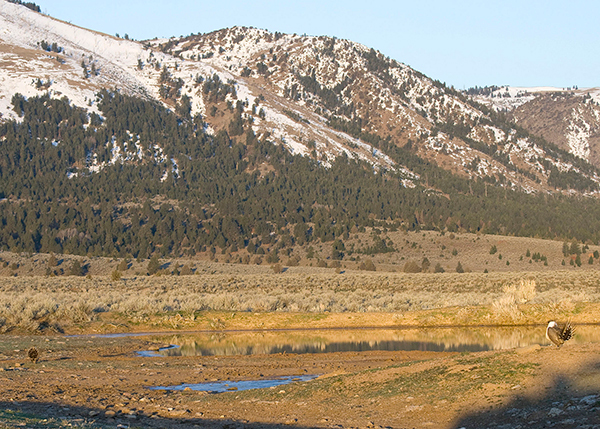 The Basin and Range National Monument, a 704,000-acre region in Nevada just a two-hour drive from Las Vegas, protects some of the nation’s last undisturbed mountain ranges and valleys in the southern portion of the Great Basin Ecosystem and the legacies of 13,000 years of culture. The 107-acre Waco Mammoth site in Texas, located halfway between Dallas and Austin, is the newest addition to the National Park System. It holds the nation’s only recorded discovery of a nursery herd of Columbian mammoths, a distant relative of the woolly mammoth. 5. On August 7, 2015, President Obama signed the Sawtooth National Recreation Area and Jerry Peak Wilderness Additions Act into law. It represents a victory more than 30 years in the making, according to The Wilderness Society. The legislation permanently protects more than 275,000 acres of a wild area in Idaho called Boulder-White Clouds, a region of high-alpine ecosystems that provide rich wildlife habitats and a rugged landscape for outdoor enthusiasts. 6. On September 28, 2015, Royal Dutch Shell announced that it had abandoned oil exploration in Alaska’s Arctic Ocean for the foreseeable future. For now, Alaska’s northern coastal villages and marine mammals will be safe from major offshore oil spills and other oil development-related impacts. 7. During 2015, the National Wildlife Federation, through its Garden for Wildlife program, certified more than 11,000 public and private gardens, 330 schoolyards and five cities, bringing the organization’s grand total to more than 200,000 certified habitats around the nation that provide food, water and shelter for native species. With all of the scientific research that proves how beneficial green settings are for us, that’s also good news for city dwellers. 8. 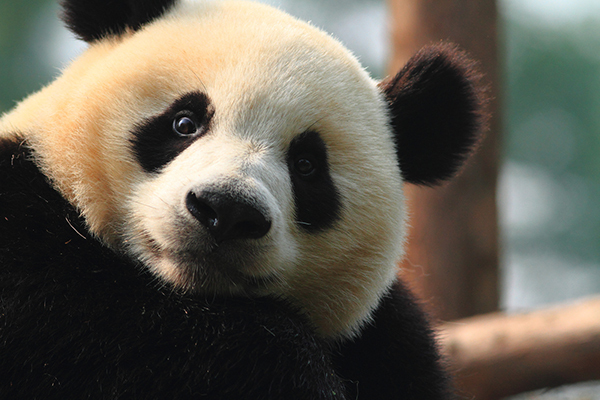 In February 2015, China announced the results of its Fourth National Giant Panda Survey. In just a decade, the wild panda population has grown by nearly 17 percent to an estimated 1,864 individuals. And their geographic range has increased by more than 11.8 percent since 2003. 9. Annually, as many as 30,000 elephants are killed for their ivory. On July 29, 2015, the U.S. 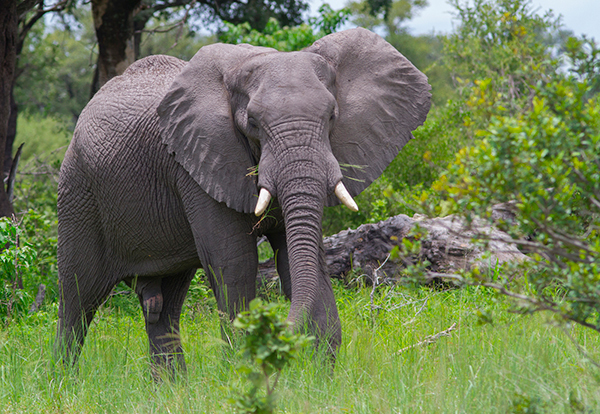 Fish and Wildlife Service issued a proposed rule that would prevent illegal African elephant ivory from being imported and sold in the U.S. More than one million people signed a World Wildlife Fund petition in support of the regulation, marking the first time in the history of the service that the agency can confirm receiving more than one million comments on a proposed rule from a single organization. 10. In 2015, Asia’s big cat populations made significant gains. In Russia and China, Amur leopards—the world’s rarest cats—doubled in number in just seven years, according to reports from World Wildlife Fund. The population is now estimated to be 70, up from just 30 cats in 2007. Tiger numbers are also on the rise. Bhutan counted 103 wild tigers—up from the previous estimate of 75—in the country’s first-ever tiger survey. In India, the tiger population grew by 30 percent. 11. On June 8, 2015, Subaru, recognized for having the first automotive assembly plant in America designated as zero landfill (with all waste recycled or turned into electricity), announced that it would share its knowledge of zero-landfill practices with the National Park Service. In partnership with National Parks Conservation Association, a non-profit national park advocacy group, the team will begin testing its methods in Denali, Grand Teton and Yosemite. 12. According to a report in the Winter 2015 issue of World Wildlife magazine, WWF lead wildlife scientist Robin Naidoo and fellow researchers conducted a study on the economic value of protected places. They painstakingly amassed data on how many people visited 556 parks in 51 countries. They then built a model to predict the number of annual park visits based on geographical and socioeconomic factors. Results showed that tourists spend nearly $600 billion annually in protected areas—far more than is actually spent on maintaining them. I do encourage you to watch Merchants of Doubt. But after you view it, peruse this list once again. As we look back on 2015, it’s good to reflect on the successes that we managed to accomplish together. Thanks Candice! Breathtaking photo, too!